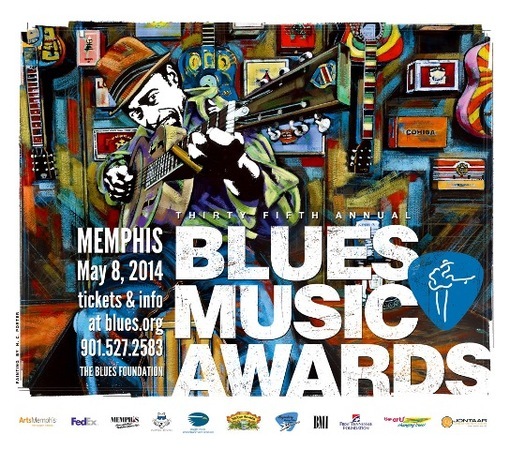 Presented by the Blues Foundation, the annual Blues Music Awards are held Thursday, May 8th at the Cook Convention Center in downtown Memphis. Now in its 35th year, the awards showcase the best in blues and a who’s who of artist will be in town to celebrate the music and take home some hardware. If you can’t be there in person, Sirius XM’s B.B. King’s Bluesville radio show is covering the evening’s events. They are sending hosts Tony Colter and Big Llou to provide colorful coverage, interviews, and live performances during the ceremony.